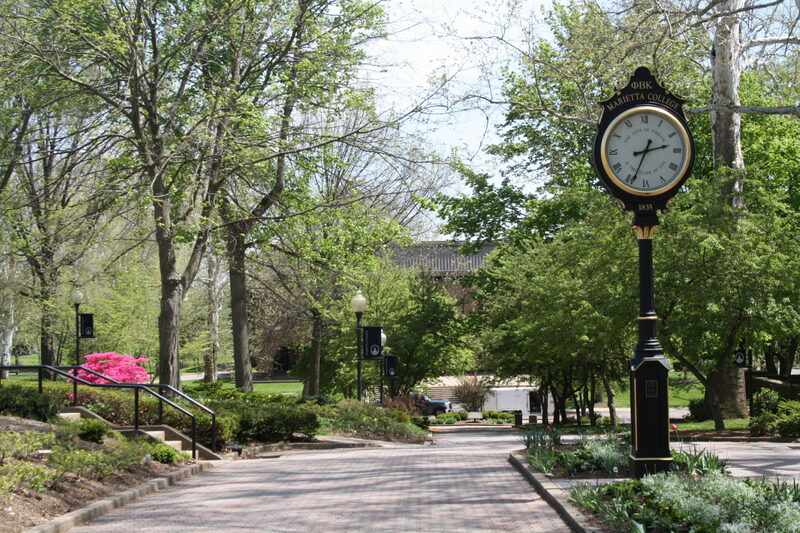 Marietta College is a co-educational liberal arts private college in historic Marietta, Ohio, USA, which was the first permanent settlement of the Northwest Territory. The school offers 44 majors along with a large number of minors, all of which are grounded in a strong liberal arts foundation. The school encompasses approximately three city blocks next to downtown Marietta and enrolls 1,450 full-time students. It is known for its Petroleum Engineering, Athletic Training, McDonough Leadership, and Physician Assistant programs, as well as its highly successful China Program.